1454. 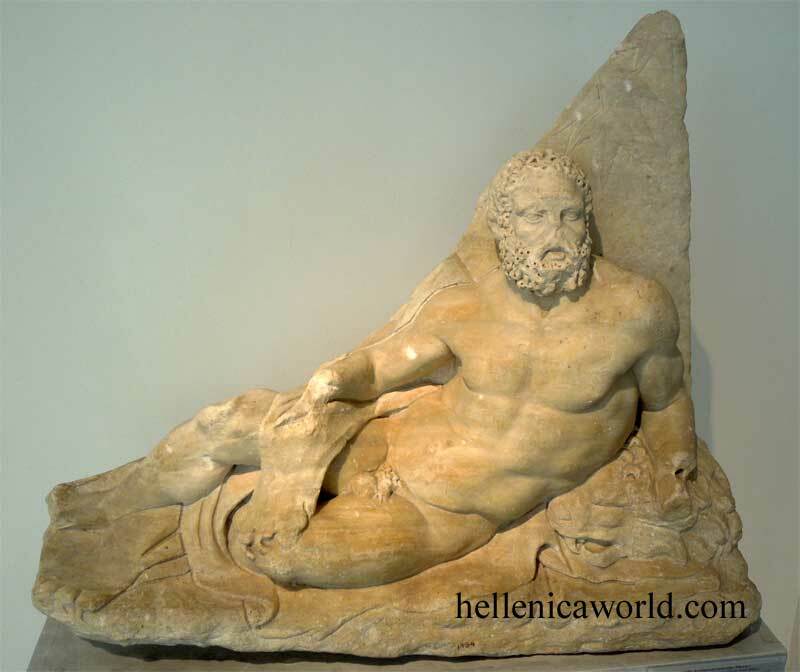 Herakles. Votive relief Marble. leaves of a plane tree in the shade of which the hero is resting. Copy made in the 2nd c. A.D. of an earlier, Hellenistic work.